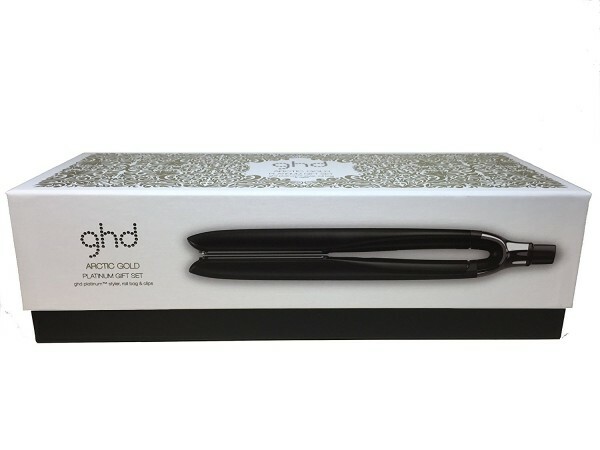 Product information "ghd Platinum Arctic Gold Styler Gift Set"
The ghd Platinum Artic Gold Gift Set come with two ghd Sectioning Clip, so you securely separate your hair whilst styling. It also comes with a Warm White Roll Bag, which is great for storing your stylers. The roll bag also doubles as a heat mat, so you can protect your surfaces while you style your hair. Related links to "ghd Platinum Arctic Gold Styler Gift Set"
Customer evaluation for "ghd Platinum Arctic Gold Styler Gift Set"